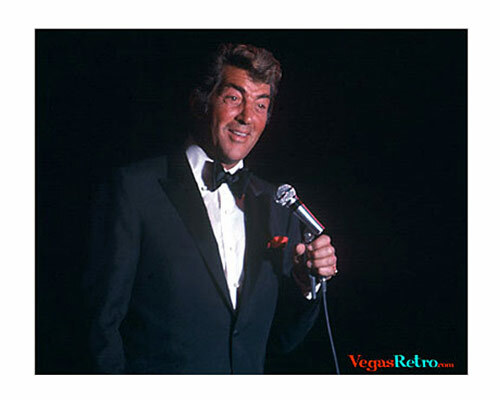 Dean Martin, one of the famous Las Vegas "Rat Pack", entertained audiences on the strip long after the days of the party boys were over. With a mic in one hand and usually a drink and smoke in the other, he was always a performer at ease on stage. He played several different hotels over the years. This photo was taken in 1970 at the Desert Inn Hotel.